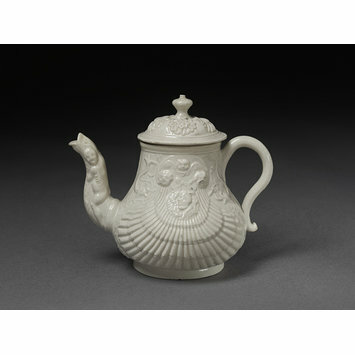 Teapot and cover of salt-glazed stoneware, slip-cast with moulded decoration. 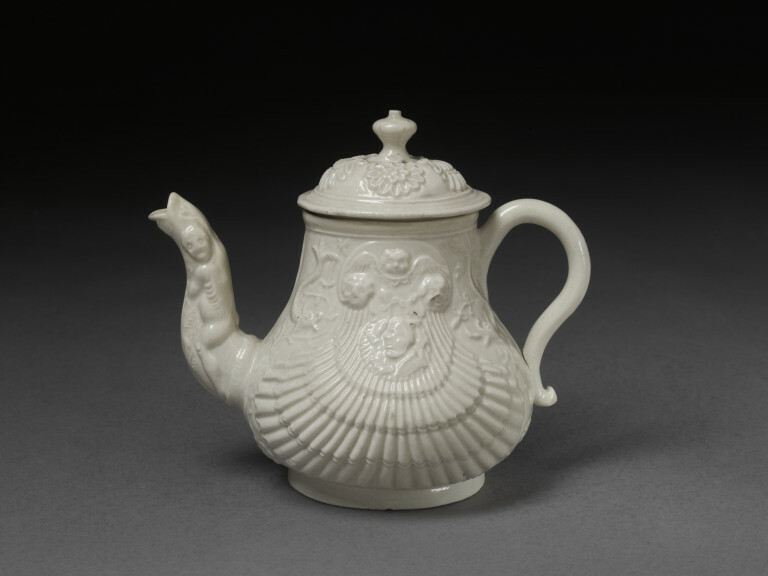 Teapot and cover of salt-glazed stoneware and moulded, maker unknown, made by Staffordshire, ca. 1750. Hou Seng, Chan eds. Taste and Essence: Historical Tea Pieces from the Collection of the Victoria and Albert Museum. Artron Art Group: Beijing, 2013. ISBN 9789996502019.